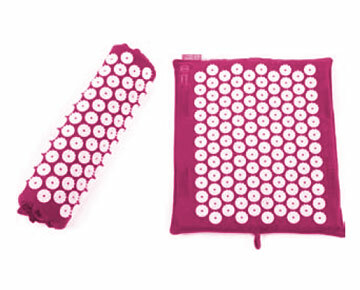 Similar to the Full-sized Cotton Line Spoonk, the Cotton Line Travel Spoonk boasts the same acupressure spikes of Spoonk in a new travel-sized convenient way! Take the travel-sized Spoonk easily on a long car or plane ride, easily pack it at work or on the go, or even roll up the travel-sized Spoonk to use it as a headrest or pillow. The Travel-Sized Spoonk is great travel companion, and you can enjoy the benefits of Spoonk and feel amazing wherever you go!